Mercedes Russell has been doing the job on defense. To say that Holly Warlick’s Lady Vols, currently ranked #18, need a win is an understatement. Locals — and some from afar — have been calling for Warlick to be let go, based on the under-performance of an experienced squad that has several players returning from injury this month. The biggest factor is the stagnant offense, especially against zone defenses — which everyone plays against the Lady Vols now because it is their obvious Achilles Heel. As many pundits have pointed out, the Vols’ point guards aren’t getting the ball inside against zone defenses, and their 20% three-point shooting hasn’t caused any teams to switch to man to man or to extend their zones. While 6-6 junior center Mercedes Russell (who was the consensus #1 or #2 high school player in 2013) has been dominating on defense, she has gotten few looks inside on offense. The worst loss of the year came in December against Virginia Tech, when the Lady Vols scored the fewest points in the team’s history (43). Fans at Rocky Top who are calling for Warlick’s head cite a lack of chemistry, but winning tends to breed good vibes. Beating Kentucky tomorrow night (which is reeling a bit after losing to unranked Mississippi last week) would go a long way towards righting the ship and calming the critics. 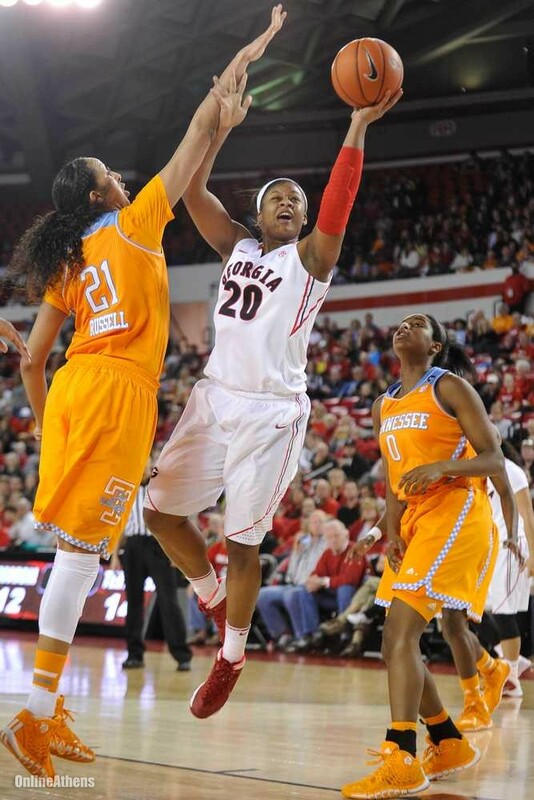 This is the first in a series of midseason reports on college women’s basketball.